Two wins from two has Solomon Islands on course to finish top of Group B, while Fiji and New Caledonia have set up a crucial showdown for their final encounter at Stade Fautaua on Sunday. After a crushing loss to Solomon Islands in their opening game, New Caledonia switched things up for match two and thoroughly dominated their opponent Vanuatu romping to an 8-1 win. After starting on the bench against Solomon Islands, Paul Gope-Fenepej has found his place in the team scoring twice against Vanuatu, along with Titouan Richard who has impressed with his speed and technique across the two encounters. New Caledonia coach Felix Tagawa said he adapted the based on the fact their second match was played at Stade Pater rather than Stade Fautaua, which seemed to work well. Looking ahead Tagawa knows Fiji will be yet another different style of opponent and with the games headed back to Fautaua and with an earlier kick-off time, that only adds to the list of things the OFC A Licence-holder has to consider. “First of all we’re focusing on recuperating. But then of course we’ll start concentrating on this next match. 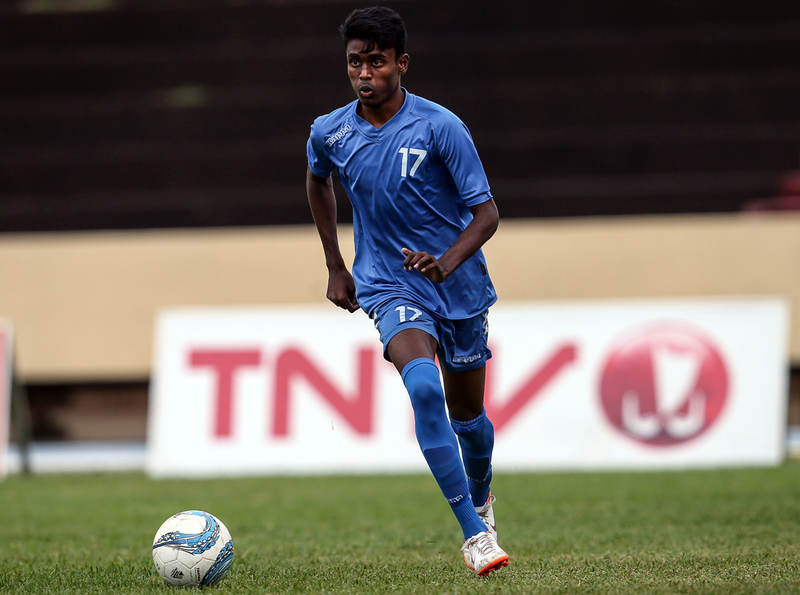 Fiji’s Bal Reddy was hugely disappointed that a momentary lapse in concentration for his side allowed Solomon Islands to score a late goal and claim three important points. Reddy’s side performed valiantly against a talented Solomon Islands strike force showing their strength in defence and midfield. However the chances for Ratu Dau and Tito Vodowaqa were few and far between. Fiji still have a chance to go through to the semi-finals but not only does a tough encounter await, the team also has to shake off the disappointment of their loss. “We need to cheer up the boys, regroup and work on the mistakes we made against Solomons,” Reddy said. In the day’s opening match Solomon Islands will be out to cement their place at the top of the standings with a final victory against Vanuatu. Batram Suri’s side has shown no signs of slowing down in two performances that showed the sheer talent of this group of individuals. Lino Houairia uses his pace in a similar fashion to New Caledonia’s Titouan Richard, which means it could be another difficult 90 minutes for Vanuatu. Solomon Islands have a solid defence with Anthony Kasau and John Aeta at its centre and with Joel Nanago in goal it will be tough for Vanuatu to break them down, if they’re even able to get that close. Although Vanuatu have suffered to crushing defeats so far, Suri will not take them lightly especially knowing the mentality of Vanuatu footballers and the pride they have in defending their country’s colours. “Looking at the six points we are secure to qualify for the semi-final, the next stage. But it’s not yet over. We’ll still work hard to reach the maximum points because to draw or win will make us win the pool. “Vanuatu are not different from Solomon play of football we have to manage them and the skills and techniques they have,” he said. After the high of qualifying for the FIFA U-20 World Cup in 2016 on home soil, the results of this follow-up campaign have been hugely disappointing for Vanuatu. The side started well in the tournament and despite going down 3-1 to Fiji in the opening game they put up a strong performance but were undone by an organised Fijian side. Against New Caledonia at times they showed what they were capable of, but against a strong opponent who managed the conditions better, Vanuatu were unable to settle into their game allowing New Caledonia to take them apart. Coach Kaison Maki said although things haven’t gone to plan the side will not bow their heads for the final encounter. “As a team we are working together and trying to recover from the heavy loss,” he said.